The Bhagavad Gita is a 5000-year-old scripture that holds timeless knowledge for dealing with life’s everyday challenges practically. It’s 12th Chapter teaches us how to attain the Divine in our life by enlisting the qualities of a perfect devotee. 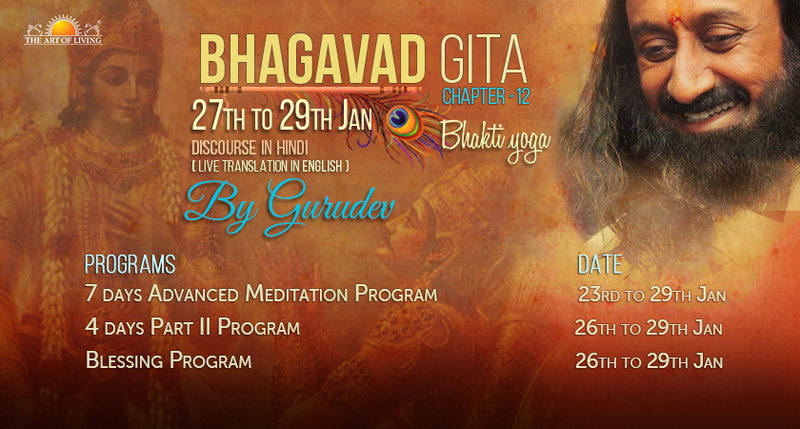 Uplift your spiritual quotient by joining in for an exclusive commentary on Chapter 12 of Bhagavad Gita with Gurudev Sri Sri Ravi Shankar.